Controlling military hardware with video game input devices isn't new. Drones, bomb defusal robots and other battlefield equipment have steered by Xbox 360 gamepads for a while now. But the newest weapon using a Microsoft-made controller might be one of the most powerful ones yet. It's a laser on top of a truck that shoots threats down from the sky. 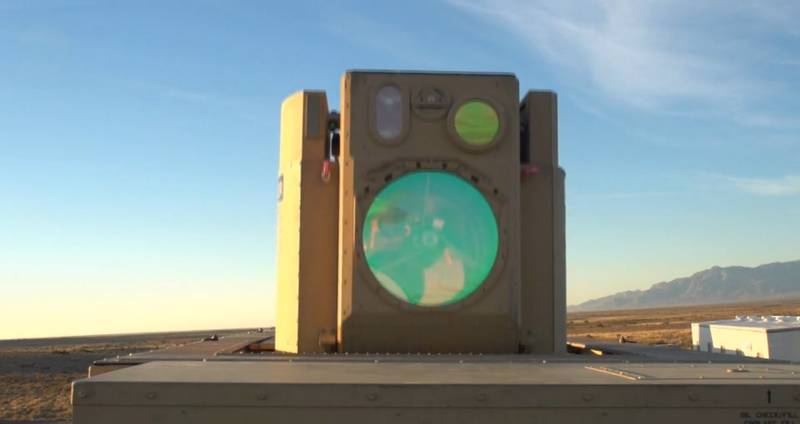 Wired has an article up on the Boeing-built High Energy Laser Mobile Demonstrator (HEL MD), designed to eliminate airborne targets like unmanned drones and mortar shells by destroying them with tightly focused beams of light. The beam energy array on top of the Army-developed truck is controlled by a laptop and an Xbox controller. The Boeing rep in the video cites soldiers' assumed familiarity with the Xbox controller, referring to it as "something that he doesn't have to go to school to learn, that he knows how to use instinctively." It's not specified as to whether it's an Xbox 360 or an Xbox One controller used for the HEL MD but, given the relative ubiquity and low cost of the former compared to the newness of the latter, it's probably a last-gen gamepad. With this new development, one could imagine conflicts where a 360 controller-steered laser will be shooting down drones piloted by the same input device. It's worth mentioning that the parallels between real-life war and playable fiction have been a source of controversy before. New weapon-centric uses of console controllers as with the HEL MD probably won't do anything to change that.